“Man’s flesh is delicious. It tastes far better than fish or pork” these were the words of Monaghan man Alexander Pearce just before he was hung in Tasmania in 1824. Pearce’s tale is an extraordinary one, eclipsed by the story of bushranger Ned Kelly, it is a fascinating insight into the history of Irish convicts in the British empires most remote penal hell hole, Van Diemen’s land. For stealing six pairs of shoes Pearce was sentenced in Armagh to seven years on the other side of the world. Pearce rebelled against his prison masters upon his arrival in Tasmania in 1821. He absconded twice, received four floggings, one of 50 lashes for embezzling two turkeys and three ducks, one of 25 and another of 50 for being drunk and disorderly, and another 50 and six months working in chains for stealing a wheelbarrow. In March 1822 he absconded again, was recaptured and the exasperated magistrates of Hobart Town had enough, he was sent Macquarie Harbour for the remainder of his original sentence. It was here where he would acquire a taste for human flesh. Macquarie Harbour, located on the western coast of Tasmania, is considered by today’s standards remote, it is one of the most spectacular areas of natural beauty on Earth. A land of cool, temperate rainforests, a vast remnant of the extraordinary vegetation of the great southern supercontinent Gondwana. Today its isolation and beauty is prized, in the 1820’s its beech and pine rainforests were coveted. Press-ganged labour worked these arduous forests, sawing and heaving timber in much demand for its use in shipbuilding. On September 20, 1822, Pearce, along with fellow convicts Alexander Dalton, Thomas Bodenham, William Kennerly, Matthew Travers, Edward Brown, Robert Greenhill and John Mather were cutting pine logs on the eastern side of Macquarie Harbour. Tired of the rigid discipline, they planned to escape. The plan was to steal a boat and sail to a Pacific island, but the plan went awry. Easily overpowering their overseer they bungled their getaway, panicked and fled into the unwelcoming forest and harsh mountains surrounding the Harbour. They faced a hellish journey through tough rugged countryside and eight days in they realized their only hope was cannibalism. They first killed Dalton, who had volunteered to be a flogger and such men were hated. Brown and Kennerly grew fearful that they would be the next victims and fled back to Macquarie Harbor but died of exhaustion on the way. The other five led by Greenhill, grasping his woodcutter’s axe, travelled for 42 days, an extraordinary feat. One by one as the journey continued the weakest man was killed with the axe and butchered to provide food. They cooked the flesh and innards at first but then just ate them raw. Greenhill who had done most of the killing faced the prospect of killing his injured friend Travers who had been bitten by snake. They carried Travers for five days as he pleaded to be killed, which they duly obliged, killing him in his sleep and eating his flesh. It was just down to two, Pearce and Greenhill, who struggled on for eight more days and played a unnerving game of cat and mouse with each other. Both desperate to stay awake, fearing that the other would attack him if he closed his eyes and nodded off. It was Pearce who kept awake long enough to grab the axe and kill the sleeping Greenhill with a blow to the head. The Irishman eventually made it to the settled districts, was befriended by a convict shepherd, and lived rough for several months, robbing farms and stealing sheep, before he was recaptured. Incredibly, when Pearce gave an account to the authorities of the nightmare journey and the cannibalism involved, the examining magistrate did not believe him, thinking that Pearce concocted the story to cover for his mates who were believed to be still at large. Pearce was returned in chains to Macquarie Harbour. Several months later he bolted again from a work party with a young man named Thomas Cox. When Pearce surrendered 11 days later, he had human flesh in his pocket and Coxs’ mutilated body was found near by. At his trial in June 1824 the Hobart Town Gazette would describe Pearce as “laden with the weight of human blood, and believed to have banqueted on human flesh”. At 9am on July 19, 1824 Pearce was hanged in the yard of the Hobart Town jail putting an end to the life of the Irish cannibal. Through the 1800s more than thirty percent of all migrants to Tasmania were from Ireland. 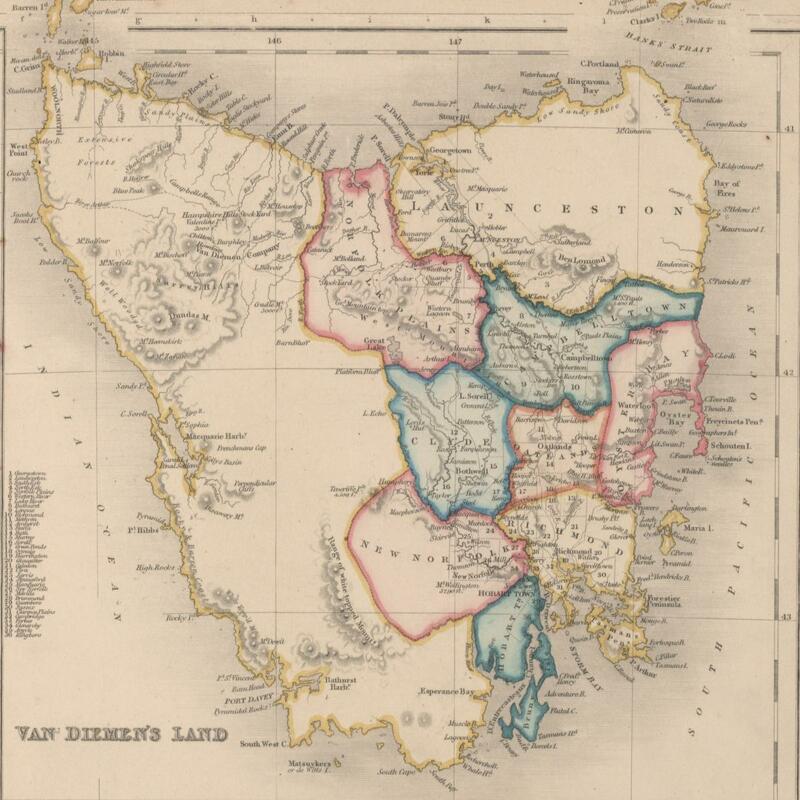 Their descendants carved out a solid place in society and at least half a dozen Premiers of the State of Tasmania trace their roots back to Ireland. Next Why does Tasmania whitewash its convict past? It is no secret that many convicts were sent to Australia as forced labour and life was no picnic – however, in this interesting if macabre tale – the ingredients of the picnic were not cucumber sandwiches. Great story telling. Wow, that is unbelievable! What desperate conditions would have led to such desperate actions. The floggings and forced labor, how wretchedly sad. Hi Brenda, yes it is terrible, you can just picture the horrendous life these convicts went through. One convict in Tasmania spent 12 months underground in a coalmine mine, harnessed to two other men. That’s heinous! What cruelty man is capable of. This was before an understanding of trauma and mental illness, and it makes you wonder what those circumstances did to those people. Yes and there was also a small island just off Tasmania where convicts were sent and not allowed to talk to each other, it led to many developing severe mental illness.